Being a fan of simple outfits means I’m usually a fan of simple details (I did a whole post on subtle details here). I appreciate “extras” that can make an impact without being in your face or extremely loud, and thus enters embroidery. From phrases to animals, you can find embroidered pieces featuring just about anything. However, it’s been florals that have caught my eye. (Insert comment about how maybe wearing bits of floral will help it feel like spring when it totally doesn’t.) Floral itself is typically a girly pattern, but with an embroidered element, it becomes easily translatable across edgier styles, too. 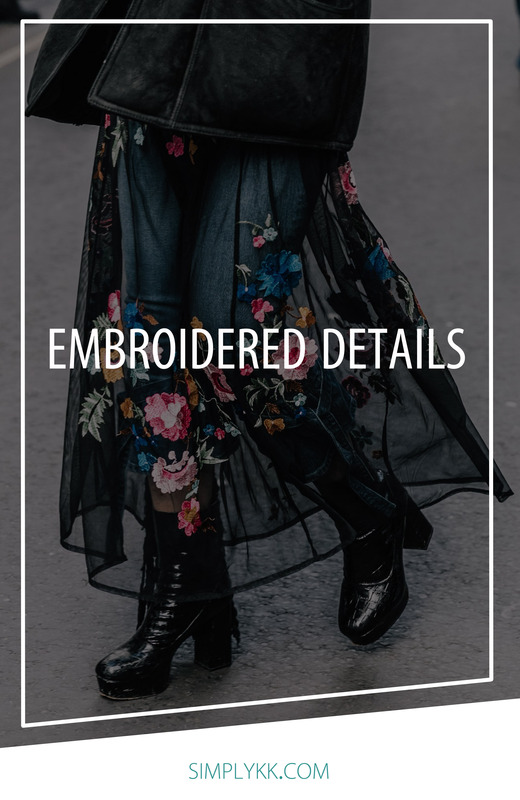 With this floral embroidery obsession in mind, these are the pieces that I’d love to try and incorporate into some different looks. What’s your take on embroidery?